No matter what your age, if you want to be happier in life and make a difference in another person’s life, this book was written for you. With so many things to worry about, raising children can be overwhelming to say the least. 10 recommended principles to help families achieve success and happiness in life. The book was designed to create awareness and inspire you to go from “good to great” as a parent. Proceeds of the book are donated to Operation Breakthrough, a 501c3 charity in Kansas City –– the largest single-site early education child care and social services facility in the state of Missouri serving more than 400 children daily from the urban core. Read kidmandment #1 for free! 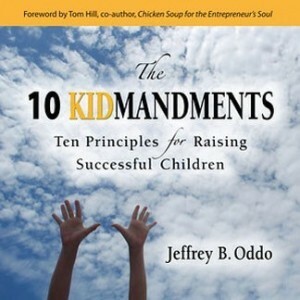 Jeff Oddo is a father, entrepreneur, author, and public speaker. Inspired by author Jim Collins, he is on a mission to go from good to great as a parent and a president. Through his journey, he wants to make a difference in the lives of families through education, speaking and writing. Happily married with three wonderful children, Jeff has been blessed in life and is passionate about helping others experience and enjoy all that life has to offer. The profits from Jeff’s book sales and public speaking engagements go to support single working mothers who Jeff believes have the most difficult job in the world. 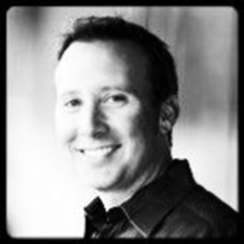 Jeff is a dynamic public speaker on the topics of fatherhood and family business. I’m a father of three lovely ladies and the president of City Wide –- a building maintenance services company founded in 1961 and headquartered in Kansas City. I was raised by great parents and find myself striving every day to be that kind of parent. When I write and speak, I tell the story of my journey to be a great parent and what it has taught me about being a great CEO. Follow me: Twitter @JeffOddo, Facebook, and LinkedIn.